As an investigator, your child has discovered their world and are now hard at work investigating how it works. 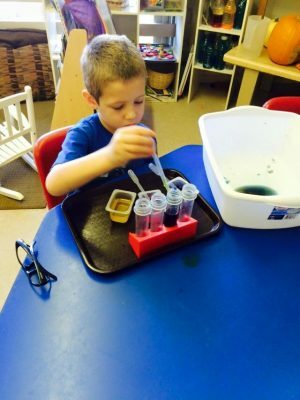 O’Fallon Early Childhood Center will help your child learn new concepts that will prepare them for life. Preschoolers will solve more complex problems, playing creatively, and taking care of their own basic needs. At this age, your child has mastered both large and small motor skills like picking up small objects and keeping their balance. Your child can hold utensils and writing tools like an adult and will be running, jumping, and throwing and catching balls with ease. The Investigators Room is big, open, and arranged in exciting learning centers where your child can investigate new concepts that will be introduced to them by the staff. They will also get plenty of time outside in our outdoor classroom. There, your child can investigate the natural world through activities like gardening. These concepts will be explored in everyday activities with other children and staff. With a basic knowledge of these important concepts, your child can be prepared for success at school and in life. 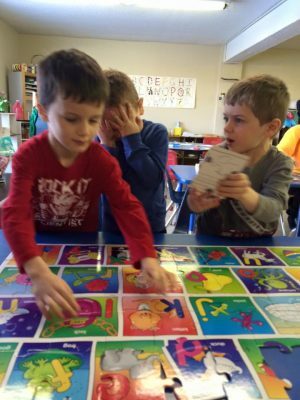 When you visit O’Fallon Early Childhood Center, you may notice that the children are playing and engaging in activities that they choose rather than working on a teacher-planned activity. 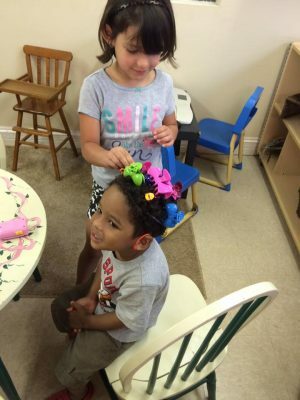 This “Project Construct” approach to child care is an essential part of our methodology that promotes self-esteem, decisiveness, and confidence in children.